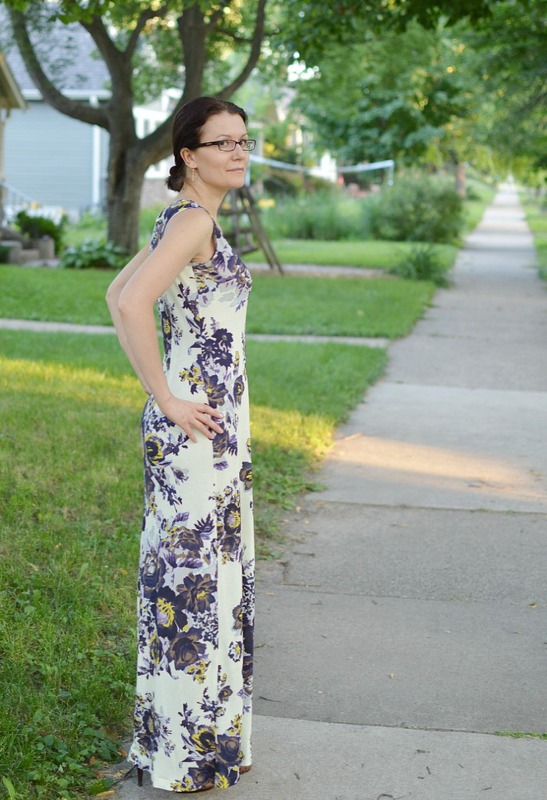 I had wanted to make a maxi dress since the beginning of summer. A while ago I picked up a McCall's M6074 pattern at Joann's during their $1.99 sale. I also found a nice quality remnant at my favorite local fabric warehouse. I thought I was all set. Turns out, nope, not so much. The pattern required almost 4 yards of fabric, I had about half of that. A reasonable person would buy new fabric, but I decided to make it work. Ok, let's discuss the dress. :) At first I planned to fold the sides of the pattern to make it more narrow. The pattern had two pieces, front and back, but they were not cut on fold which of course resulted in a dress made out of four pieces. I didn't like that. I thought with the big flowery print the extra seams would look messy. I cut it on fold, which worked fine in front, but the back was two baggy. I decided to add darts in the back to make it more fitted. Since it was a "make it work" project and I don't have a dress form, I had my husband pin the darts on me. I evened them out and made them symmetrical, but overall he did an awesome job. :) Not sure how I feel about the gigantic bouquet on my derriere. :) But I am just going to roll with it. The pattern instructed to just fold the edges on the neckline and armholes down and stitch. What?! I didn't like that, so I made narrow binding for both. Overall, I am happy with the dress, even though it took me longer then an hour to make. The fabric is very soft and drapes nicely. I have been wearing it quite a bit. You look BEAUTIFUL!! And I love the dress.....and look at you correcting the pattern instructions - woohoo!! Fold and stitch down the armhole opening...yuck :-))) And if anyone can handle flowers on their derriere it is you!! You look fantastic! I love that print - so glad you could make it work. Gorgeous Olga! Woo Hoo! Looking to seeing more of your pretty self sewing! Looking good! Hope you're enjoying this beautiful summer weather we're having. 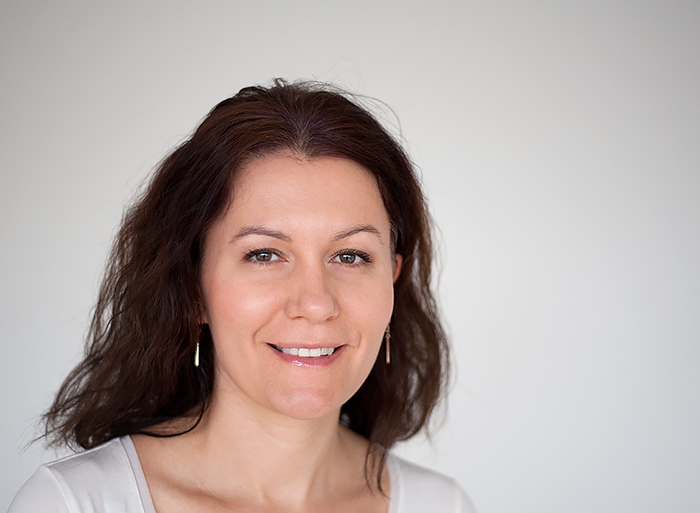 Beautiful, Olga! You always make me laugh. I'd love to get together before summer is over to make a maxi with you! Is that possible? You look fantastic!! And the gigantic bouquet looks good too. Your husband is like mine. No more pictures behind crazy kids running for the park. Hahaha! Oh wow! O know you posted this a while ago, but I just found it and had to say wow!